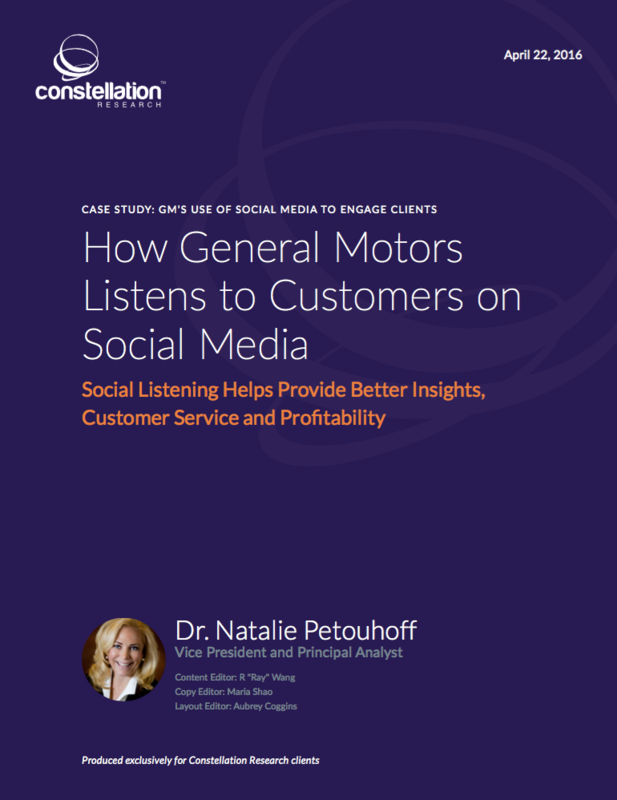 How General Motors Listens to Customers on Social Media | Constellation Research Inc.
General Motors is one of the world's leading automotive brands, selling 9.8 million cars and trucks annually. GM is passionate about earning customers for life, but when it came to engaging customers on social media GM faced challenges including insufficient customer service in social channels, poor cross-departmental flow of social data, and low return on investment in social customer service. This case study documents how General Motors used Oracle Service Cloud and Oracle Social Relationship Management Engagement Platform to create a social media strategy that resulted in consistent customer service around the world, boosted GM's social engagement with customers, and improved customers' perception of GM brands.